On May 7th 2017, the official launch of the project “Theatre and culture against discrimination’’ took place in Cairo University, Cairo, Egypt. This project is one of SouthMed CV’s sub-grantees of the second call; it is implemented in Cairo and led by the Egyptian Feminist Union, in partnership with the Ministry of Youth of Egypt and Cairo University. The project tackles the gender and region based discrimination in Egypt; it aims to work with youth to raise awareness about these issues and find ways to fight discrimination through theatre and artistic workshops, to ultimately produce creations that would communicate non-discriminatory ideas and concepts. The project uses art as an advocacy tool for the development of society and an educational tool for youth. 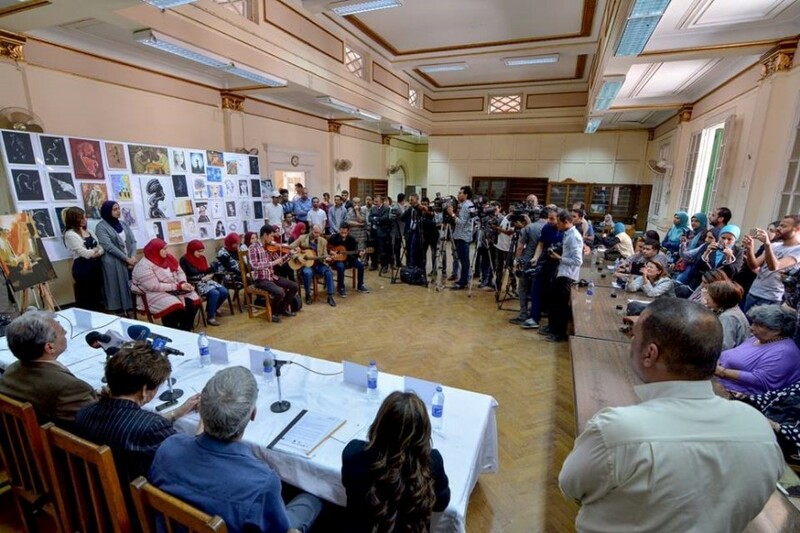 During the launching of the project, speeches were given by Dr Houda Badran, president of the Egyptian Feminist Union, Dr Jaber Nassar, president of Cairo University, Dr Amal Jamaleddine, representative of the Ministry of Youth and Mr Sebastien Trenner, head of culture and cultural heritage at the EU Delegation in Egypt. SouthMed CV was represented in the launching by its project coordinator Mr. Toni Cots, who also gave a word during the conference. The launching concluded in a musical performance.